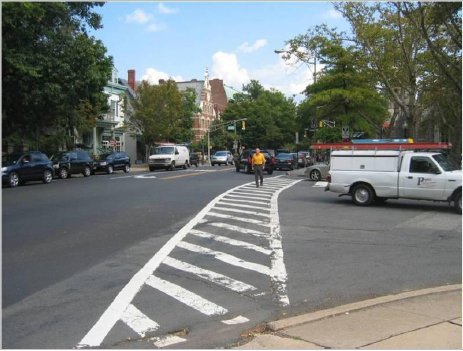 Smart-Growth Challenge: How effective can a state agency be in urging local municipalities to make their streets more accommodating to all users? As is probably the case with most New Jerseyans, NJDOT Commissioner Jim Simpson writes in the preface to the department’s Complete Streets Guide to Policy Development that at one time, “when I hear(d) the word ‘transportation’ I (would) take the perspective of a motorist and think of cars and trucks or trains and buses and my daily commute.” And, indeed, most New Jersey roads over the past 30 years have been constructed primarily to accommodate motorized traffic. Now, however, Simpson’s thinking has changed dramatically. 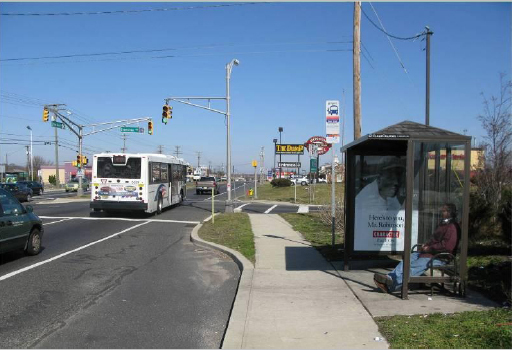 But his department faced a challenge: In an era in which there are increasing concerns about the health risks of obesity and carbon emissions, and changing preferences among the state’s younger and older residents that de-emphasize the automobile, what could be done to re-orient New Jersey’s famously car-centric transportation priorities and retrofit some of those roads to accommodate users who aren’t drivers? 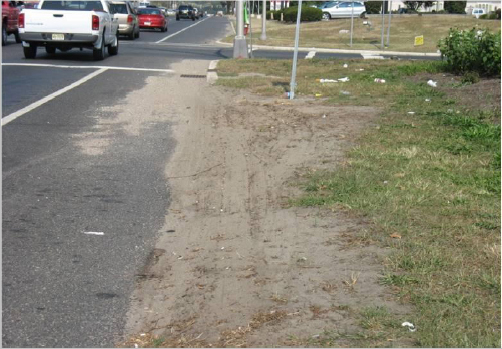 That is the two-part goal of the New Jersey Department of Transportation’s Complete Streets policy. The first part of the goal is to ensure that going forward, any plans to repair state roads, and any plans for construction of new state roads, include a mandatory checklist of items that must be addressed in order to ensure that the needs of all users of those roads – pedestrians, cyclists, people in wheelchairs and those that use carts or scooters, as well as motorists – are considered. Only the DOT commissioner can exempt a project from an item on the list. The second part of the goal, by far the larger undertaking, is to do as much as possible to help counties and municipalities adopt the same approach. 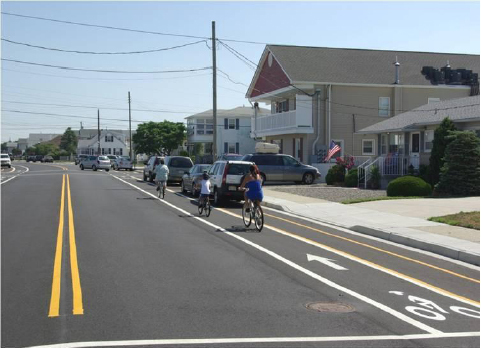 State roads account for only about 10% of all roads in New Jersey, so getting local municipalities to see the benefits of Complete Streets was critical if the department was going to be able to effect this change on a significant scale. To that end, NJDOT undertook a broad training and stakeholder outreach strategy, including conducting an extensive series of workshops; developing presentation and training materials across a variety of media; creating manuals to help municipalities develop their own policies; and, most recently, publishing a manual to help municipalities implement their Complete Streets policies once they’ve been adopted. 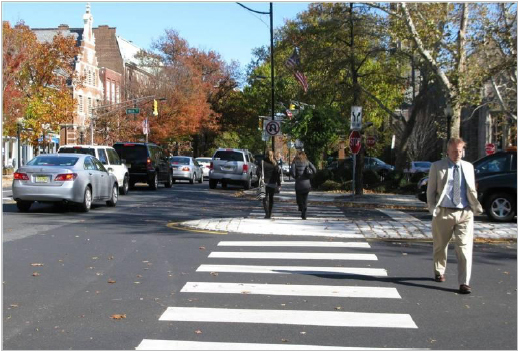 The department’s efforts have reached more than 300 elected officials and professional staff in municipalities across the state, and have resulted in 56 municipalities and four counties adopting their own Complete Streets policies. This is fully 10% of all of the municipalities nationally that have such policies in place. 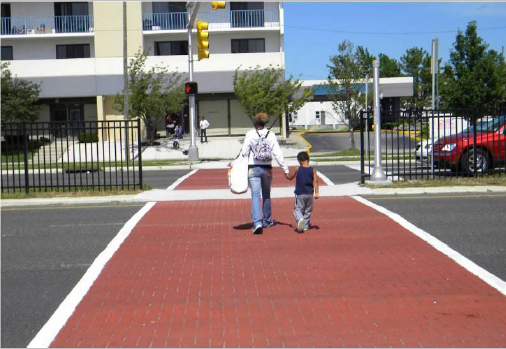 As these policies are implemented, transportation projects large and small are now incorporating such Complete Streets elements as improved sidewalks and crosswalks, addition of transit accommodations; bike lanes, center turn lanes and curb extensions to tame major thoroughfares; and even green stormwater management elements. The result? 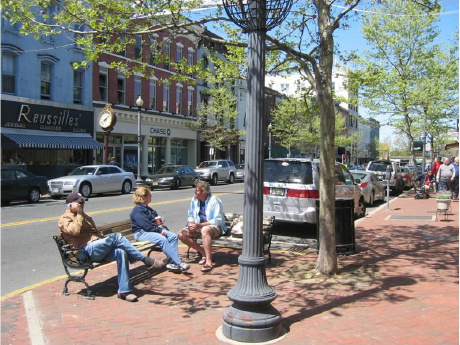 Friendlier, safer, more walkable and bikeable streets and roads in towns across New Jersey.